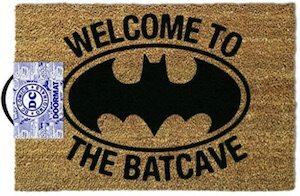 Batman fans can now have their own Welcome To The Batcave Doormat. This doormat looks like a normal doormat in the brown fibers we all know from the typical doormat you have at your home only this one has a big Batman logo on it and the text “Welcome To The Batcave”. 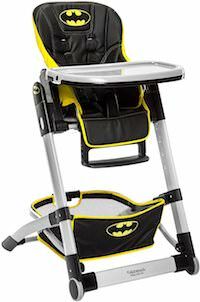 The Batman doormat is 24 x 16 inches making it the perfect size for a doormat that is going to see the feet of Batman and his friends. Now you can prevent dirty feet inside your home because cleaning your shoes is easy and just the way Batman would do it.